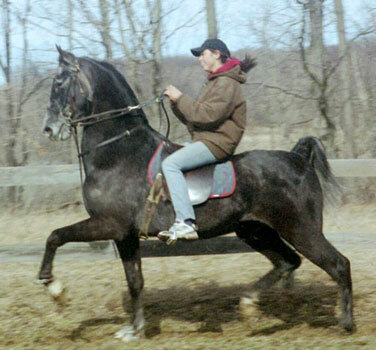 Pete was bred by Judy Kutruff of Cochranton, PA. 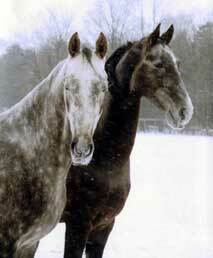 He is now owned by Gloria Nighswander in Canada. 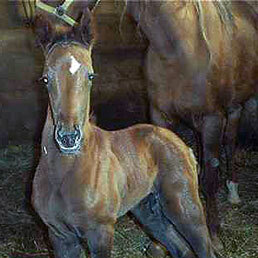 Pete has been in the winner's circle since he has been a weanling. 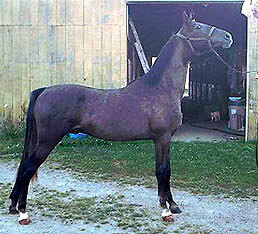 We just received this stunning under saddle picture. Can't wait to start getting the 2007 news from Canada. We've Heard from him. It's COLD up there! UPDATE April 2008 Winsdown Crucible Steel is now owned by Kimberly Blease-Blakely. Kimberly reports Last year he won his classes at both Barrie Onterio and the Canadian National Exposition in Toranto. To quote Kimberly "Steel is an amazing horse and my son rode him to first in walk and trot too!" Kimberly also says she was a long time Morgan owner and now "I am truly in love with my big grey Saddlebred- thank you Hi Octane for giving our family such a wonderful horse!!! Kimberly we will be anxious to receive updated pictures soon!